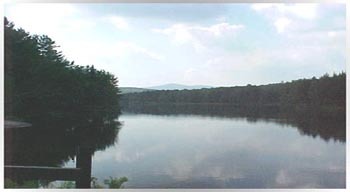 A 195 acre lake located in Bondville, Vermont and 15 miles southeast of Manchester, Vermont. Fishing is done among the many flooded trees. 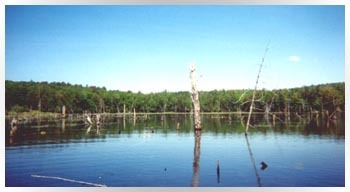 Large mouth bass and chain pickerel dominate the lake. The lake has great views of Stratton & Bromley Ski Resorts.